We make business process outsourcing work for you! 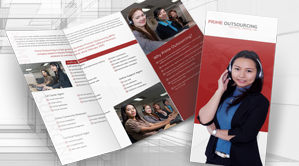 PrimeOutsourcing is an offshore staff leasing company based in Manila, Philippines. Our company operates 24/5, which allows time flexibility for clients. Every staff is managed by a supervisor or a project manager to maintain work efficiency and client satisfaction. Our services are designed to enable companies to effectively manage their time while increasing their profit margins. This is accomplished by relieving you of the burden of doing administrative tasks such as payroll benefits management, employee recruitment and HR compliance. With these out of the way, you can focus on more important tasks, such as expanding your business and getting more clients. At PrimeOutsourcing, we keep training our employees to make sure their skills remain competitive. We do this to ensure that they maintain a strong work ethic, and to allow them to grow personally and professionally. We continuously motivate our staff so they enjoy working in our company and with our clients as well. PrimeOutsourcing is your offshore staff leasing company and outsourcing solutions provider. Let our staff handle your routine office and administrative functions, web development projects and other tasks. You can set up your own virtual team, and enjoy top-notch management and technical assistance from our proficient employees. See what we are all about and what we can do for you. 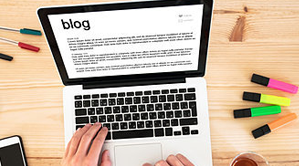 We want to help make your company more profitable so you can achieve your business goals. For any questions, please feel free to contact us. Offshore staff leasing is the core service offered by PrimeOutsourcing. Through our staff leasing program, you can have your own team in the Philippines. The team, which will be managed and supported by PrimeOutsourcing, will exclusively work for you for the whole duration of the project. Through project outsourcing, you can employ our staff and tap into their expertise to complete a project within a specific period of time. This service is most ideal for short-term deliverables, or any task that needs to be done within a shorter time frame. These service packages were created with small businesses in mind. Our Prime Service Packs are designed as outsourcing start-up kits, those that make outsourcing more affordable for owners of small-sized enterprises. With this service, entrepreneurs can outsource some jobs without paying for full-time staff. For companies establishing a wholly owned subsidiary as an extension of the parent company operating in the Philippines. Running an office can be time consuming and expensive. Transferring some of your business functions to PrimeOutsourcing will save you precious time and lower your operational expenses significantly. You no longer need to deal with traditional costs associated with getting and keeping employees in-house. PrimeOutsourcing offers a wide range of employment options to allow you to adapt to fluctuations in staffing needs. Regardless of the kind of service (or services) you require, rest assured we can help you find the best professional for the job. If you need customized services to address the unique needs of your business, we will do our best to provide them for you. We give our customers the chance to cancel the contract one week prior to next month due date. We does not charge termination fees at all ask is for our clients to give us feedback regarding our service. We continuously seek ways to improve our services. Our Supervisors and Project Managers will make sure your staff here are efficient in their daily activities. They are also in charge of addressing any inquiries, complaints and requests you may have. You can rely on them for remarkable after-sales customer service. PrimeOutsourcing currently employs hundreds of IT professionals in our delivery center. This means we can easily look for the right staff suitable for your business. We also maintain a large database of resumes for pooling and recruitment purposes in the event that we do not have the qualified staff you need in-house. We can deploy staff as early as today, but it takes two to three weeks for specialized positions. Hundreds of businesses have relied on the excellent services PrimeOutsourcing has been providing over the years. Our management team is composed of competent individuals with years of experience in the field of Information Technology and Business Process Outsourcing. "PrimeOutsourcing has been an instrumental feature in assisting my design company to move up to a higher level. They have provided excellent support and their candidates are top-notch. 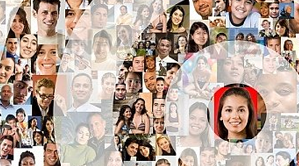 I'm very..."
"I have been leasing around 20 staff with PrimeOutsourcing for over 2 years now. They handle most of my projects in SEO, dating sites and social site marketing. The management people are..."
"I've been very satisfied with PrimeOutsourcing. They are professional, attentive and reliable. I recommend them as a smart offshore solution." "I trust PrimeOutsourcing to find my company smart, competent and hard working employees. They professionally manage my team on a daily basis and provide world class service." Spread the word and shave dollars off your bill! "PrimeOutsourcing has been an instrumental feature in assisting my design company to move up to a higher level. They have provided excellent support and their candidates are top-notch. I'm very pleased with the staff that PrimeOutsourcing has assigned me to and I'm looking forward to expand my team with them." "I have been leasing around 20 staff with PrimeOutsourcing for over 2 years now. They handle most of my projects in SEO, dating sites and social site marketing. The management people are top notch and reliable. I highly recommend them to online entrepreneurs out there!"